'Rogue One' director Gareth Edwards dropped a new poster for the highly anticipated Star Wars story arriving December 16. And not only do we get another glimpse of paradise planet Scarif, with the floating heads of Darth Vader, Jyn Erso (Felicity Jones), and the rest of the rebels, a brand new full-length trailer is coming to ABC's 'Good Morning America' Thursday morning. Edwards revealed the poster and trailer announcement on Lucasfilm's Star Wars show. 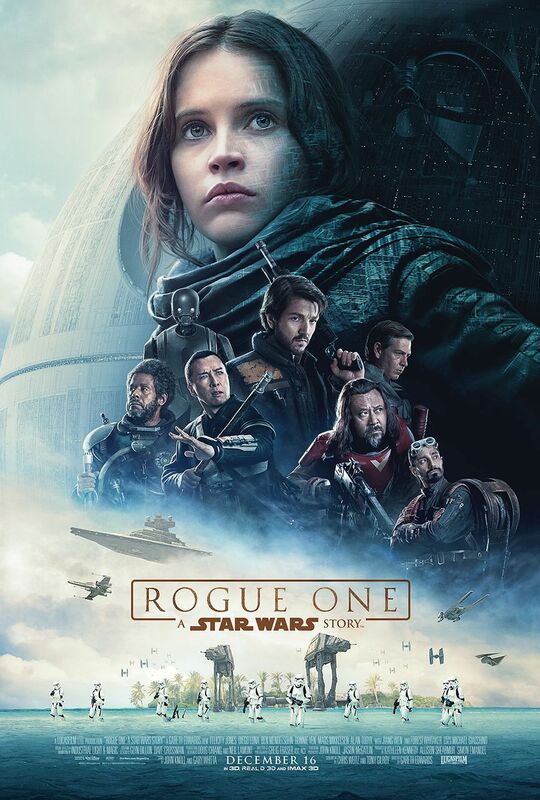 Joining Erso's giant floating head in the bright sunny sky of Scarif are characters Cassian Andor (Diego Luna), K-S2O (Alan Tudyk), Orson Krennic (Ben Mendelsohn), Saw Gerrera (Forest Whitaker), Chirrut Îmwe (Donnie Yen), Baze Malbus (Wen Jiang), and Bodhi Rook (Riz Ahmed). Rogue One: A Star Wars Story dominates theaters on December 16.